Are you searching for a special template for your Online Store? Then, the searching can be stopped here. Because we created Ap Office Store Responsive Bigcommerce Template . The main factors that make Ap Office Store so special are its modern flat design and simple color schemes. Banners in nicely put to show off the content you want your customer to lay eyes on. Ap Office Store is totally responsive theme. It is designed for diversified commodities as equipment store, bag store, furniture store, high tech store and so on. The contents in Ap Office Store Bigcommerce Template are arranged properly to make the customer feel totally at ease when shopping at the store. Besides, the large Responsive Web Design (RWD) is a big plus for the template to be compatible with all devices, such as: desktop, iPhone, iPad, Android Smart phones, Android Tablets. It was built with Stencil Framework with wonderful features such as slick slider, ajax cart, quickview, wishlist, multiple currencies,…give the whole theme a smooth sense. You can build store your way, you can build your site with different styles and layouts and you can even do it better. 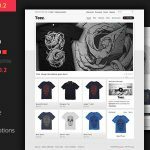 The theme has its own theme control panel, the powerful and intuitive control panel has a lot of options for store management and even customize your site. Along with it, latest web technologies converge :Bootstrap 3, SASS, HTML5, CSS3, Font Awesome 4… to make the theme even more powerful and vivid, help you manage your site better and easier than ever.